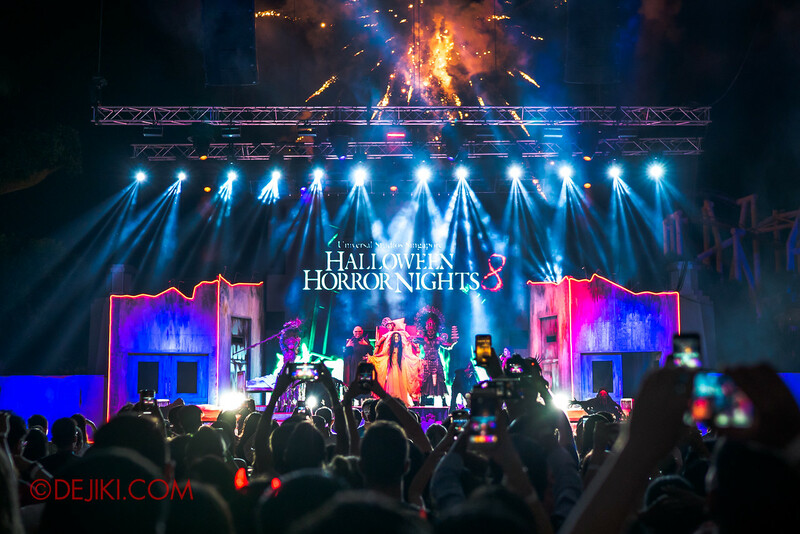 Brace for Infinite Fear: Halloween Horror Nights 8 opens every night with a spectacular Opening Scaremony show that unleashes terror all over Universal Studios Singapore. 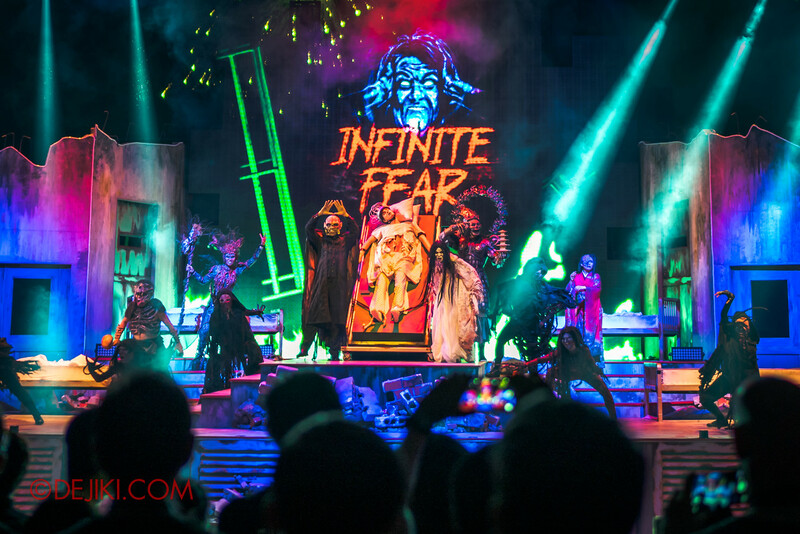 The Infinite Fear show is one of the most straightforward opening acts in Singapore. Gone are the lengthy intros and pre-shows from the past years. 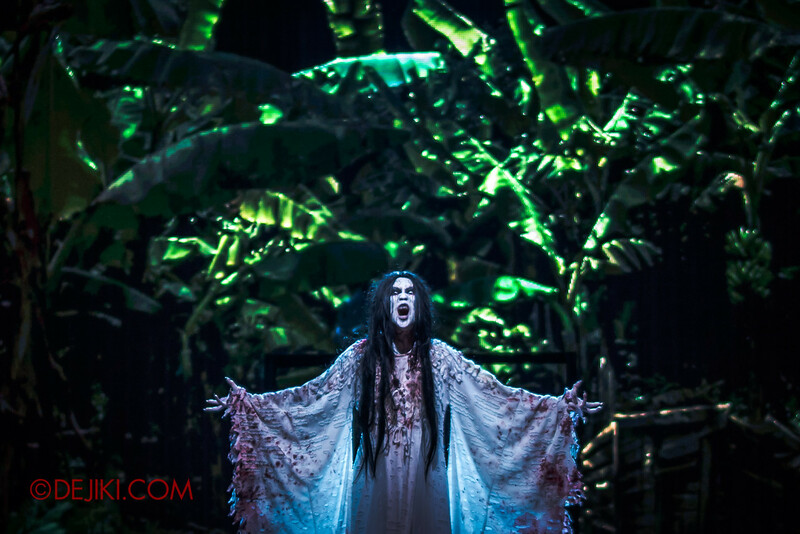 Instead, the HHN8 short films (Pontianak, Killuminati, and Pagoda of Peril) are screened to offer guests cinematic previews of the horrors that lie ahead. 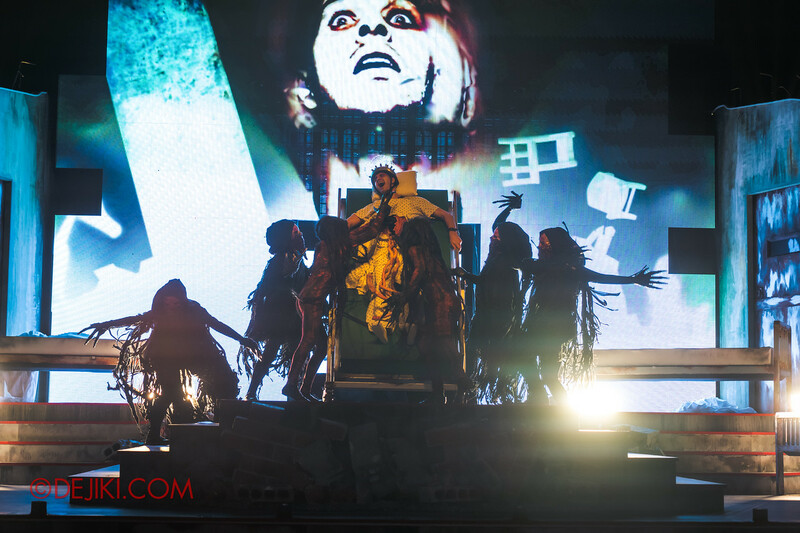 While this show lasts less than 5 minutes, it serves as a striking curtain raiser for Halloween Horror Nights 8, highlighting the transformation of the fear within into real-world terrors. 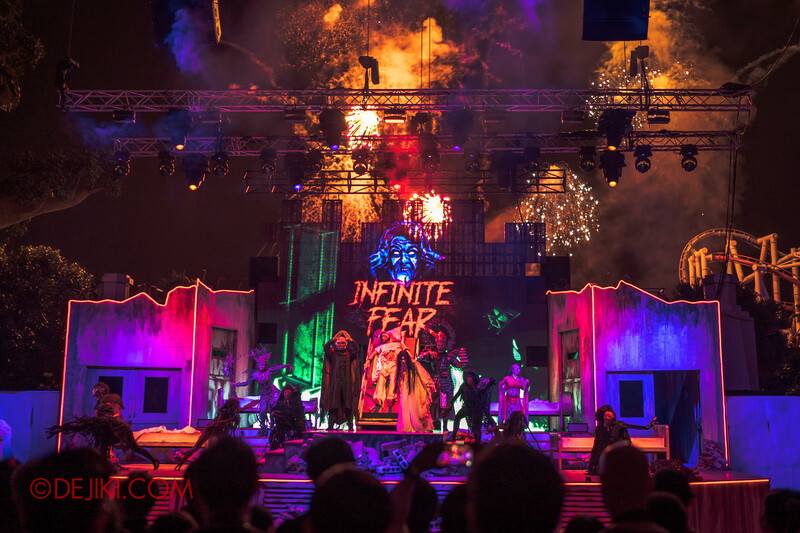 There are two versions of the INFINITE FEAR show. The Opening Scaremony version is performed at Hollywood Boulevard at around 7:30pm. 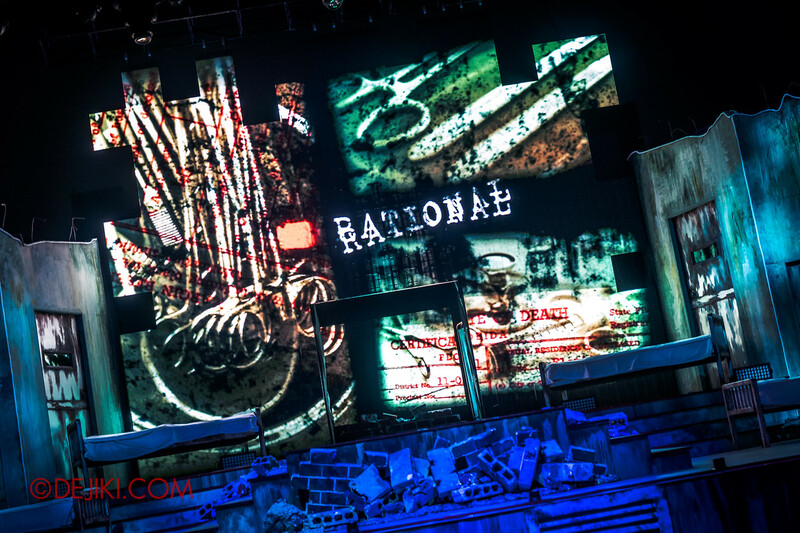 The show is repeated again during the night, albeit with reduced pyrotechnics and a smaller cast that does not include the HHN8 icons and additional characters from the horror attractions. My only complaint is that the repeat shows have an abrupt end – the music just dies off and the stage starts screening the short films again. It definitely lacks the “wow” of the Opening version with a smaller cast. 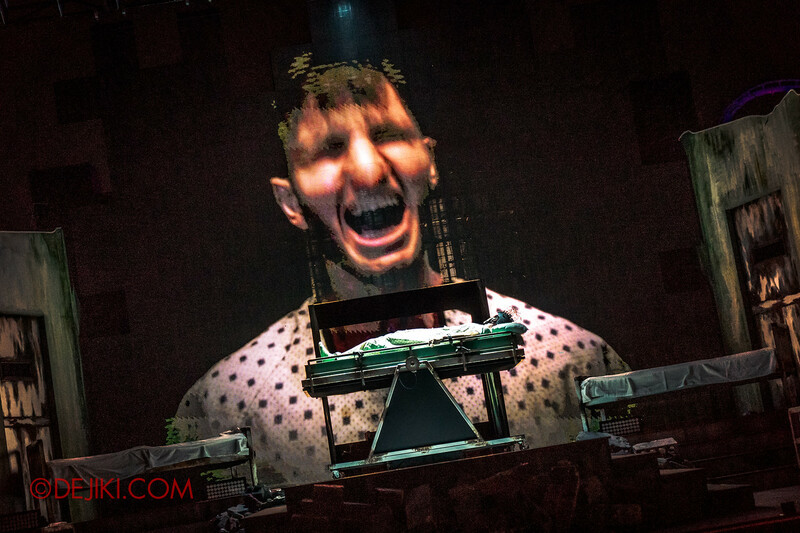 This article combines photos from both versions of the show. Fear: An emotional response to the potential threat of danger – both rational and irrational. Fear-induced paralysis can be caused when anxiety builds to manifest physical reaction. In some well-documented cases, Fear has been seen to drive some subjects to suffer episodes of madness. All logic and rationale is replaced by intrepid caution and anxious idiosyncrasies. And in some instances, irreparable psychosis. 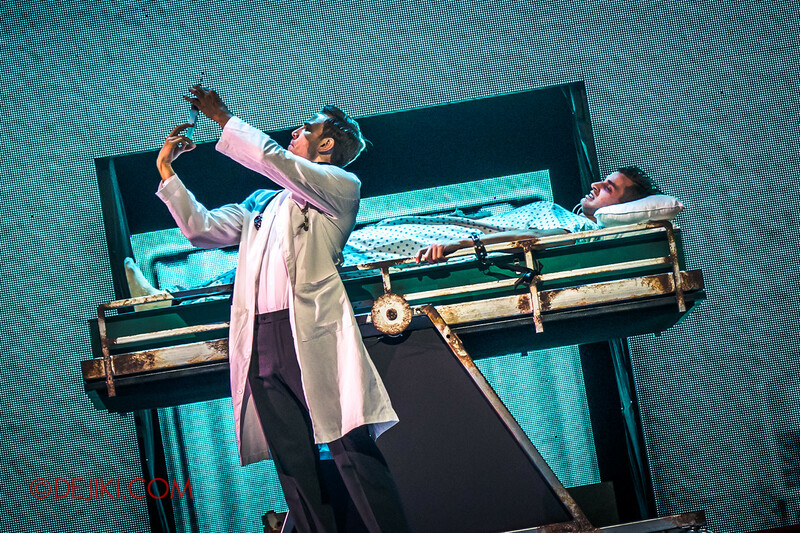 A doctor appears and administers a drug to Christian, an unfortunate patient. Now, don’t worry Christian, this is standard procedure. The restraints are there to prevent you from hurting yourself if one of these Fear episodes happens to occur… But we’ll see to it that those days are far behind you, won’t we? 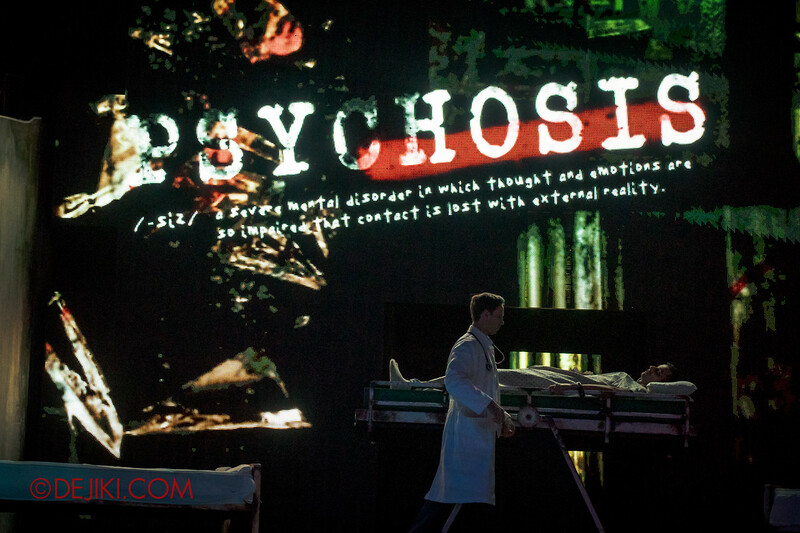 As the drug takes effect, Christian’s world is turned upside down. 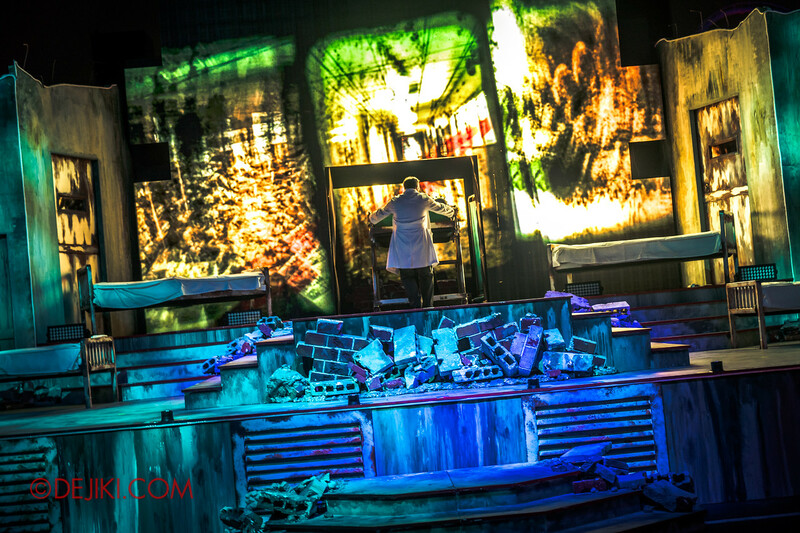 The ward becomes more derelict, and through the monitor, his face starts to bleed intermittently into the HHN8 icons. The scene flashed back to normalcy. It was just a fear episode. With his mind beyond ruin, the Fear Demons began tearing Christian apart. 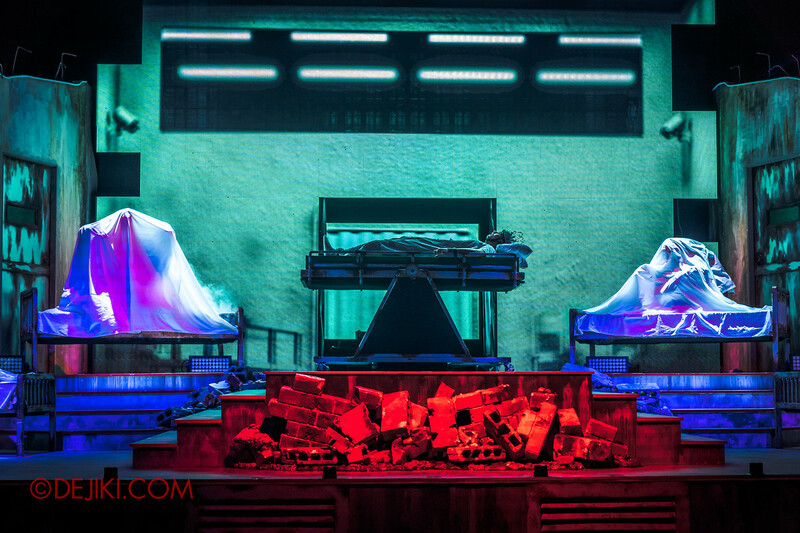 WELCOME TO HALLOWEEN HORROR NIGHTS 8. Experience Infinite Fear (Opening Scaremony version) in this video! 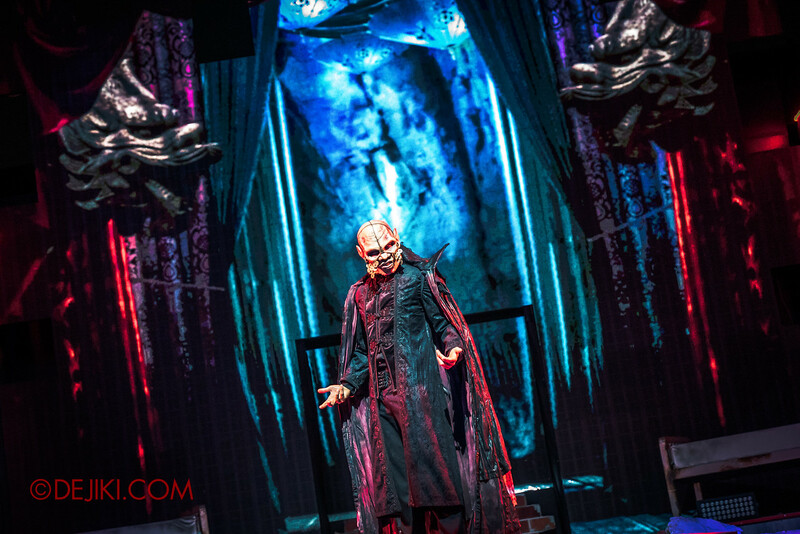 Icon from the Killuminati haunted house. Icon from the Pontianak haunted house. 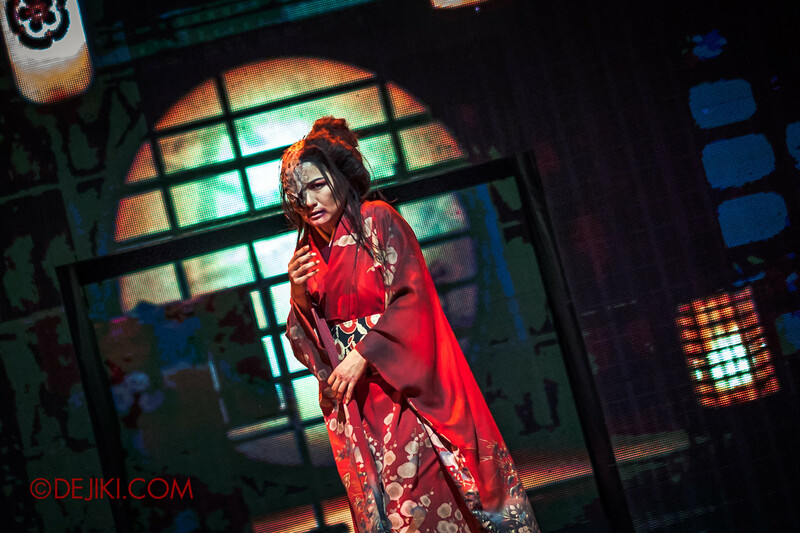 Icon from the Haunting of Oiwa haunted house. Icon from the Pagoda of Peril haunted house. 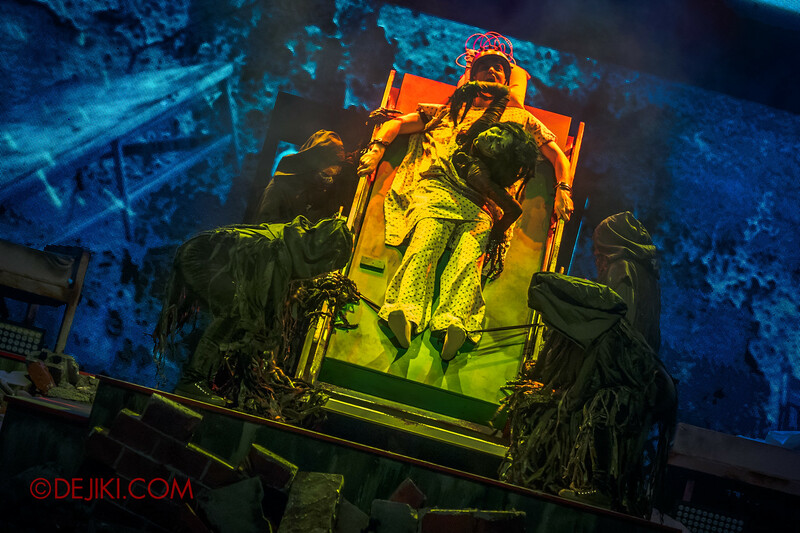 The other iconic characters, Gaia and Cannibal Chief, can be met at their respective scare zones: Apocalypse: Earth and Cannibal. A zombie is available at Zombie Laser Tag as an exclusive photo opportunity for participants. The Demogorgon and other characters from Stranger Things are not available for photo meet and greet. 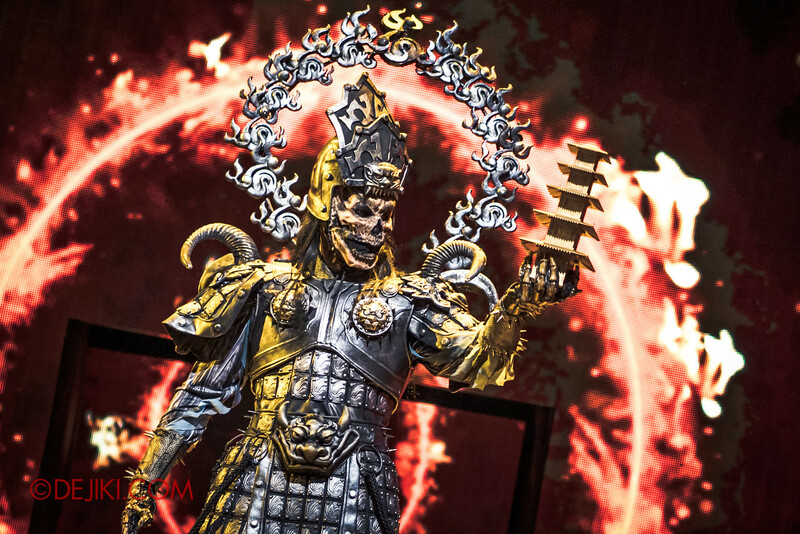 Universal Studios Singapore’s Halloween Horror Nights 8 is held from 27 Sept through 31 Oct 2018 on select nights. Tickets are available online at halloweenhorrornights.com.sg, or you can also buy them via my Klook link. How’s the weather looking in singapore this coming weekend (Sunday). Hope it does not rain.